The Rangers give up four runs in the bottom of the fifth as they fell to Corbett 5-3 on Thursday. CORBETT — Estacada looked like they were in good shape to get their first Tri-Valley Conference victory against Corbett on Thursday. That is, until the bottom of the fifth inning. After playing solid defensively in the first four frames, the Rangers committed three costly errors in the fifth inning. And Corbett took full advantage by scoring pushing four runs across, erasing a two-run deficit and pulling away from the 5-3 victory. 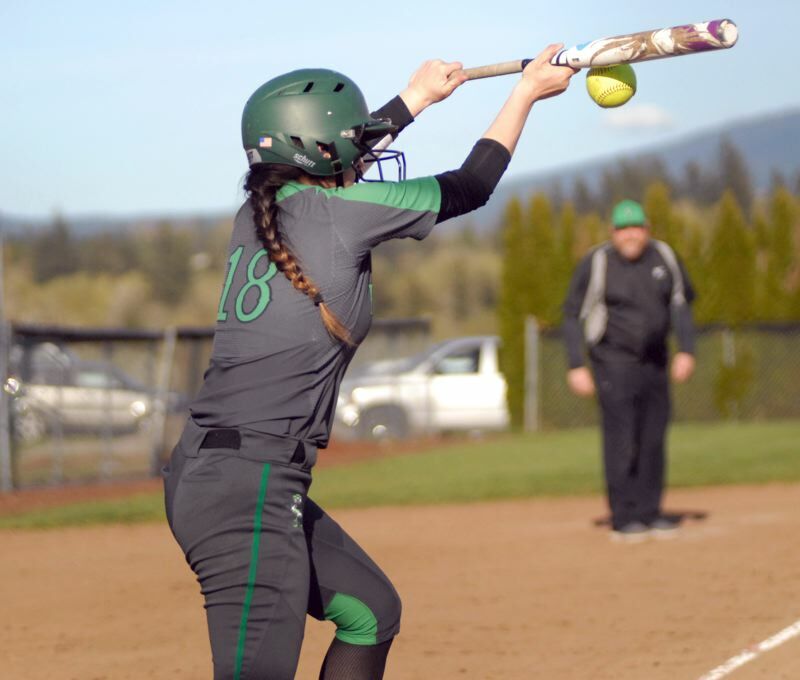 "We made a few errors and they started to compound, which made things worse," Estacada head coach Mike Clark said. "We're still a really young team that's getting better every game. That is all I can ask for right now." This was the Cardinals second straight victory over Estacada as they also beat the Rangers 8-5 on Wednesday afternoon — which was much-needed for Corbett's playoff hopes since they started 0-4 in league play. "We really needed these wins," Corbett head coach Rick Haines said. "We started off a little slow in league so picking up two victories helps us a lot. We're seeing the girls starting to gel a little bit more." This game started out as a pitcher's dual between Estacada's Izzy Hagel and Corbett's Kara Moritz. Hagel would surrender a run in the bottom of the first after an RBI-single Isabella Morales put Corbett up 1-0. But the junior lefty would come back and throw scoreless innings in the next three frames. "I was just trying to throw strikes," Hagel said. "My infield was backing me up really well so that helped me a lot." Moritz, on the other hand, found herself in trouble numerous times in the first four innings, but each time she was able to get out of the jam. One of the biggest moments came in the top of the fourth when the Rangers had loaded the bases with three singles in the inning. But with two outs in the frame, Moritz forced Bri DeShirla to groundout to shortstop, getting the Cardinals out of a mess once again. "I was always just focused on getting the next strike," Moritz said. "Our defense was really on today so I knew they would back me up well." After knocking on the door several times, the Estacada offense finally broke through in the top of the fifth. Moritz surrendered free passes to Trinity Murin and Emily Gant to start the inning. Then a single by Sidnee Keller loaded up the bases with nobody out. Look for extended coverage in the April 26 print edition.